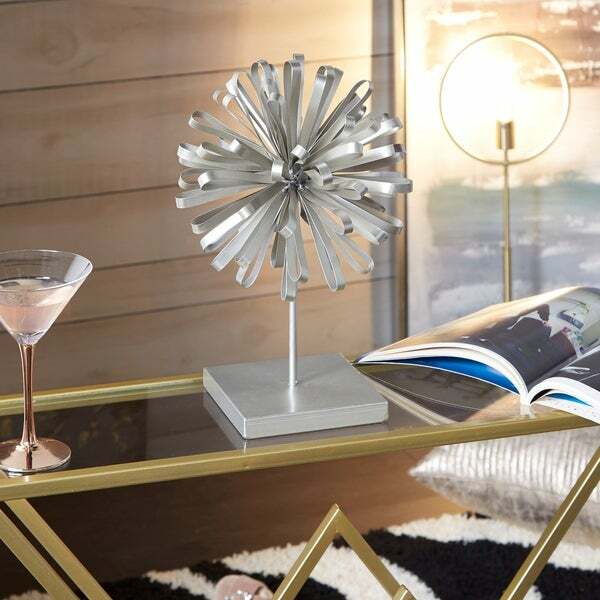 Bright and fun, this table or shelf pom-pom decor creates a pop of metallic shimmer in your home. Brushed silver-tone metal is molded into ribbon like strips, then gathered into a bow-inspired centerpiece. Features short stand to add height and substance. Applies well as year-round living decor, or brought out seasonally for festive fun. Dimensions 9.75 In. X 9.75 In. X 14.25 In.